For Black Swamp Bird Observatory (BSBO) and our partners, the effort we put forth on the festival is worth it because the event raises awareness and appreciation for birds and habitat conservation in a major way. The bottom line is this: we want to help people fall in love with birds, and this is a perfect place to do that! We believe that connecting people to the joys of birding is the first step in building support for conservation; people care more about the things they love. And when spring migration has winged its way through the area, and the Magee Marsh Boardwalk is once again draped in quiet shadows, the folks at BSBO will gather up the economic impact you helped generate during your visit and we will trumpet that to all those who will listen. The heart of conservation keeps beating! Below, we offer some simple, fun, beautiful, and even tasty! ways to help give something back to the birds that bring such joy to our lives. The future of bird conservation depends on keeping the next generation tuned in to nature. With each passing day, advancements in technology in our ever-changing world are pulling kids further and further from nature. Take a few minutes to take your kids out for a walk. Volunteer to lead nature hikes for kids at a nature center, for your local Audubon Chapter, for your family and friends. 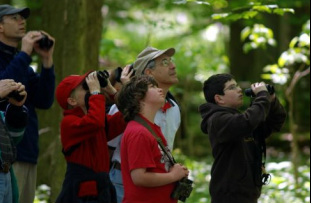 A great source of information for young birders is the YOUNG BIRDERS NETWORK: a partnership program of Black Swamp Bird Observatory and Cornell Lab of Ornithology. 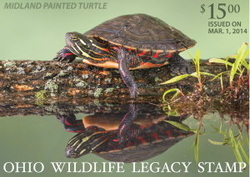 The Ohio Wildlife Legacy Stamp is available in the Black Swamp Bird Observatory Gift Shop. You can order it online HERE. For every dollar you spend on Federal Duck Stamps, ninety-eight cents goes directly to purchase vital habitat for protection in the National Wildlife Refuge System. 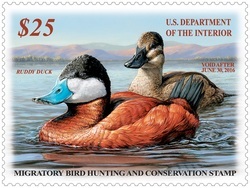 Why should you buy Duck Stamps? at 419 898-4070 to order over the phone. 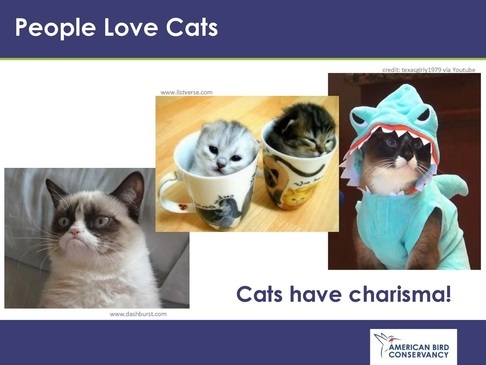 Domestic cats (Felis catus) can provide excellent companionship and make wonderful pets. 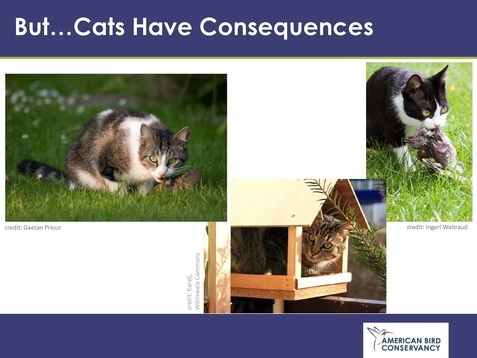 But when allowed to roam outdoors, this non-native invasive species threatens the welfare of birds and other wildlife and endangers the integrity of the ecosystems into which domestic cats are introduced. Every year, thousands of birds become entangled in abandoned fishing line and die from drowning, starvation, dehydration or strangulation; sometimes these animals struggle for days before they die. Because fishing line is such a potent hazard to birds, it is imperative that it be properly cleaned up and safely disposed of. Whether or not you fish, you can always help. 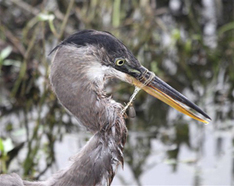 Organize a fishing line collection from your local birding club, school group, or service group. Share information with other fishers about how fishing line hurts birds so they can take appropriate steps to safeguard wildlife. Drinking certified shade-grown coffee is an easy (and tasty!) way to support bird habitat conservation. Your hosts at the “Biggest Week” are happy to recommend the following company for all of your shade-grown coffee needs. 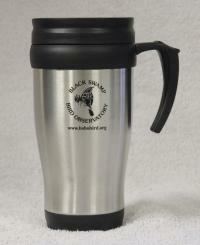 To read more about how drinking shade-grown coffee helps migratory birds, please click HERE. The Biggest Week In American Birding Proudly Presents the: Donate The Guia Program! Click HERE to learn how you can donate copies of Kenn Kaufman's Spanish language bird guide to be distributed to our important bird conservation programs through our partners at Sonoran Joint Venture and Connecting Cultures! HERE you will find a PDF of The Biggest Week in American Birding birder's calling cards. Please print a few and use them when you visit area businesses. We want them to know that you are here because of the great birds you will see. Where will it go from there? You will probably watch the balloon until it floats out of sight. But many may not realize that what goes up must come down. And come down they do, as litter on our planet.The balloon will continue to climb in elevation until the atmospheric pressure will cause most to pop and some to slowly deflate and float down to Earth; but all will then descend to Earth where some will fall on land while most will fall in the vast ocean. This is where the balloon is clearly considered litter. After landing, the balloon (with or without ribbons) becomes a ticking time bomb. 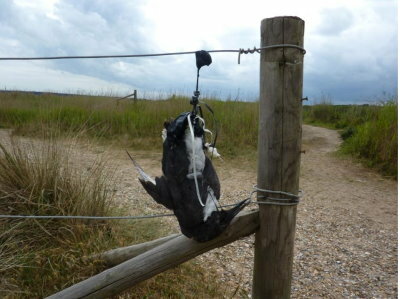 The balloon can have devastating impacts on wildlife and the environment. Balloons take years to break down. This gives plenty of time for wildlife to encounter this seemingly harmless killer. Plastic water bottles generate a lot of trash. Remember to bring your own reusable water bottle. Drinking fountains are located at the Ottawa National Wildlife Refuge Visitor Center, the Bird Center at Magee Marsh Wildlife Area, and at The Maumee Bay State Park Nature Center.